The problem: Our client, Twitter, wanted to capture untapped market potential in Asia-Pacific, Latin America, the Middle East and Africa. But first they needed to prove the concept of Twitter to win new customers in these regions. The main challenge was creating local customer case studies fast enough for their sales team to use on the ground. The solution: We worked with a senior marketing director and created the global Twitter Chirping Program to streamline the process of identifying and showcasing Twitter customer success stories of local brands across several continents. “Think global, act local” was the central concept of our global Twitter customer evidence program. But how exactly did we “think global, act local?” We’ve all heard this phrase mentioned before. We started small. We launched the program first in Southeast Asia and then scaled to other parts of Asia-Pacific, Latin America, the Middle East and North Africa, and beyond. Global-local network. We tapped into the Wings4U global team by appointing project managers for major regions and relying on our worldwide network of writers and videographers. The program reported to a central global hub run from Singapore, and was closely linked with Twitter’s regional headquarters in the same city. Our team was flexible and roles were adapted to Twitter’s needs. Ear to the ground. Our Wings4U project managers worked closely with local Twitter marketing teams throughout Asia-Pacific, Latin America, the Middle East and North Africa. These local marketers were our ear on the ground, referring us to local Twitter customers with success stories to tell. Translation is not an afterthought. Our virtual network of Wings4U writers and videographers conducted interviews with local Twitter customers from China to Dubai in their local languages. Our writers and videographers created customer case studies in nine languages, including Japanese, Chinese, Spanish and Portuguese in the style and tone that best fit their culture. We also made it a point to stay true to the brand during the process – using their voice and staying on top of evolving Twitter branding guidelines. Global end-to-end processes. Wings4U deployed and scaled a global program with solid processes to make our global marketing machine run like clockwork. A key factor in the program’s ongoing success is that we established a workflow that made it easy for local Twitter marketers to kick off a new case study quickly with minimal fuss. Our efficient processes reduced the workload for Twitter and our Wings4u team. We created a lead form process for targeted Twitter customers that had just finished a successful campaign using Twitter. This system was applied at the local level with Twitter marketers on the ground. Our end-to-end process identified an appropriate writer or videographer who spoke the local language to interview the customer and create the case study. Once approvals were completed, we published the final case study on Twitter’s website, and worked with Twitter’s PR teams to announce the case study locally. Global-local information hub. 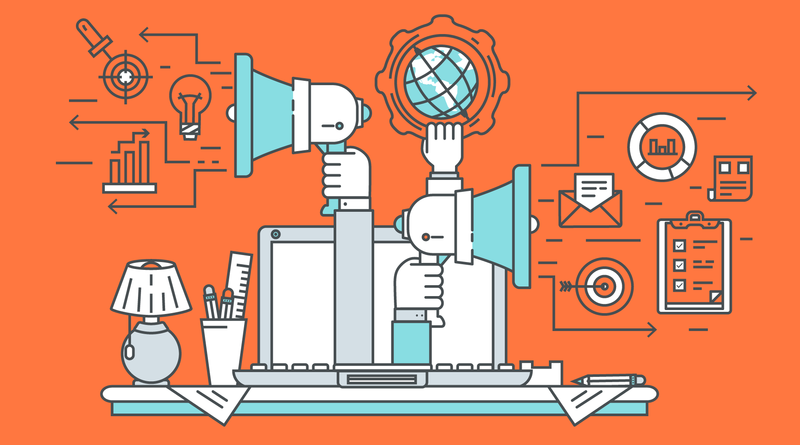 Communication across local and global teams is critical in any international marketing program. Our Wings4U team was a linchpin for the flow of information cross-continent and cross-team on Twitter’s global customer evidence program. We served as the global hub for the program, facilitating key communication channels between local Twitter marketers in Asia, Latin America and the Middle East and North Africa with Twitter’s Singapore headquarters. This list is by no means exhaustive. We are always learning, adapting and fine-tuning our global B2B marketing programs at Wings4U. I would love to hear from you on some of your challenges and success factors in running global marketing programs. 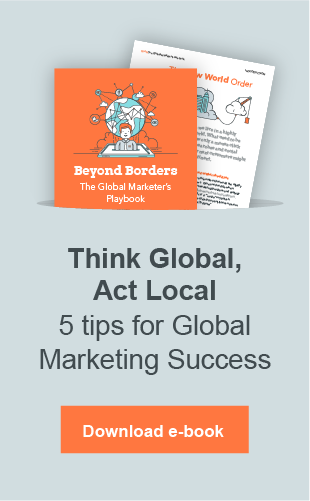 Check out our ebook for more on managing global B2B marketing programs.